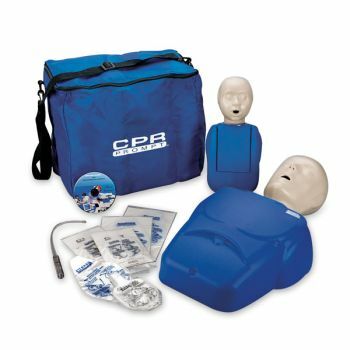 This complete kit includes everything an instructor needs to teach effective CPR to students and members of the community. Included are one adult/child manikin, one infant manikin, 25 adult/child faceshield/lung bags, 25 infant faceshield/lung bags, insertion tools, CPR DVD, and a nylon carry bag. Five-year warranty.